Choose what works best for your budget, your people, and your projects with an Autodesk Subscription. 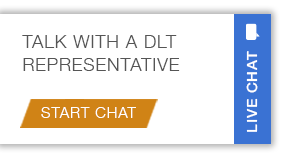 DLT delivers the latest software, technology products, and support for the best value. Learn more about product subscriptions that allow access anytime, anywhere. Greater Access - Enjoy broad access to the latest innovations in tools, technologies, and services to fit your needs—now and in the future. With subscription, you get access to the latest updates and previous versions. Flexible Control - Better manage users and costs by providing access to the right products and updates when your team needs them. Easy software management and improved security put you in charge. Valuable Insights - Reporting tools and notifications make it easy to analyze and evaluate software usage, spending, productivity, and future needs. Use the Autodesk desktop app to get updates to products, access cloud services, and receive additional capabilities as soon as they’re available—or whenever you’re ready. With Autodesk Account, you can instantly grant users access to products you’ve purchased by deploying them directly on devices or allowing users to install them on their own from the Autodesk desktop app. Create, edit, analyze, and share work in the cloud. Finish high-performance tasks like rendering in minutes or hours, not days. Use your software anywhere you need to be—at home, at work, or on the road. Plus, you have the ability to download and work with previous versions of most Autodesk software. Enhanced support -- New and improved support for subscribers provides faster and easier ways to get help when you need it most. Choose phone, online chat, email, or remote desktop assistance to resolve your technical issues more quickly. In addition to online support resources, you now also have the option to schedule a call with an Autodesk technical support specialist for no additional fee. Sort, search, and filter all of your products and services in a single view in Autodesk Account, and choose the download method that works best for you. With easy user management, control who gets access to which products and services -- assign by product or user—whatever makes sense for your business. Remove administrative overhead by setting up product update permissions and automating delivery of these updates to your users through the Autodesk desktop app. You can trust that Autodesk security experts will help keep your assets secure and protect your privacy while making the latest security updates and patches available. Also, try out new tools without making a big up-front investment. Pay for the length of time you choose, so you can better manage your changing software and budget needs. Get info on your contract status in Autodesk Account so you can renew or switch products before your subscription expires and avoid downtime. Track and optimize how you and your organization spend cloud credits for pay-as-you-go services. Subscription costs are transparent and predictable, making it easier to charge software costs directly to client projects and forecast for the future.